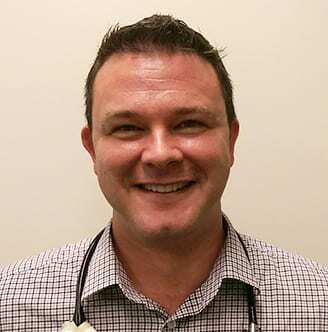 As a specialist in general paediatrics, Ben works with children from birth through until the final years of school and has a particular interest in child safety, neonates and perinatal medicine (the care of the mother and foetus during pregnancy and delivery, particularly where there is high risk of complications). More than 10 years of experience has given Ben a broad exposure to children and families across multiple areas of need. He has worked extensively with children with behavioural and developmental concerns. Ben completed a Bachelor of Science before earning his qualifications in medicine through the University of Queensland. After graduating in 2002, he worked for a year with adults then commenced his paediatrics training at the Royal Children’s Hospital in Brisbane, completing it at Launceston General Hospital. Ben’s ongoing commitment to professional development includes attendance at local, interstate and international conferences. Ben enjoys meeting and working with children and admires their resilience when coping with a diagnosis and treatment. He values the lifestyle that living near his workplace offers. When not at work, he enjoys spending time with his young family, travelling around Australia’s great outdoors.